Whether for weavers at the handloom, labourers at the plough or factory workers on the assembly line, music has often been a key texture in people's working lives. 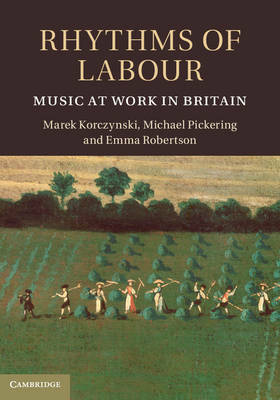 This book is the first to explore the rich history of music at work in Britain and charts the journey from the singing cultures of pre-industrial occupations, to the impact and uses of the factory radio, via the silencing effect of industrialisation. The first part of the book discusses how widespread cultures of singing at work were in pre-industrial manual occupations. The second and third parts of the book show how musical silence reigned with industrialisation, until the carefully controlled introduction of Music while You Work in the 1940s. Continuing the analysis to the present day, Rhythms of Labour explains how workers have clung to and reclaimed popular music on the radio in desperate and creative ways.